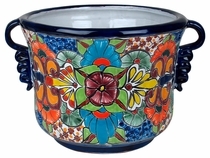 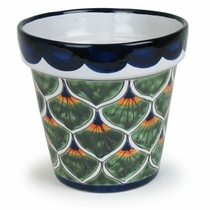 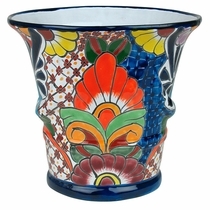 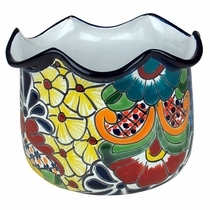 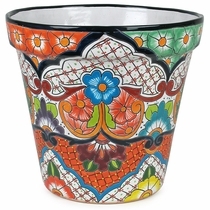 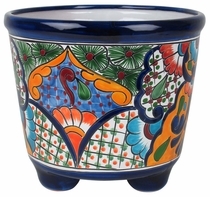 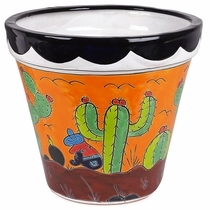 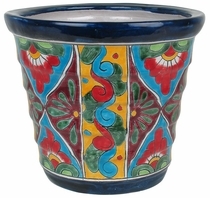 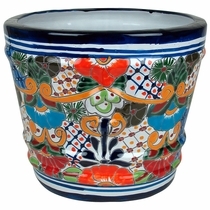 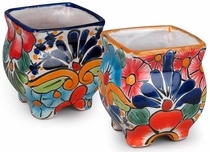 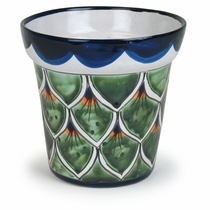 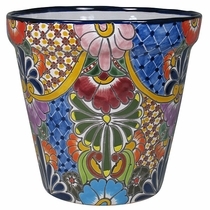 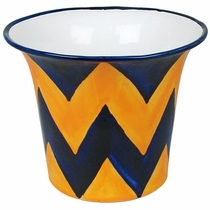 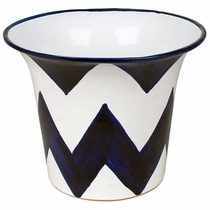 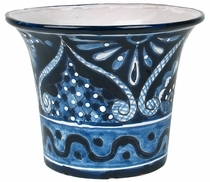 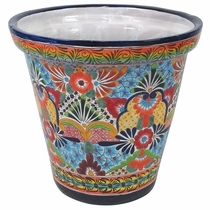 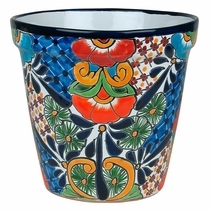 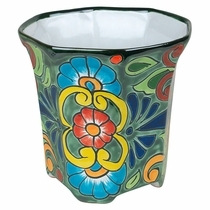 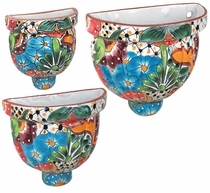 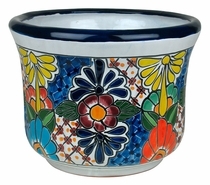 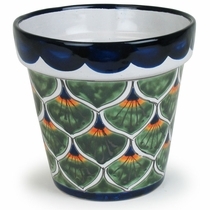 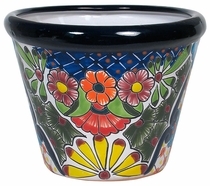 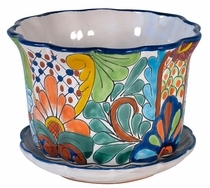 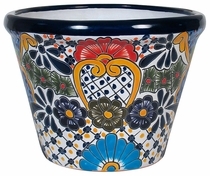 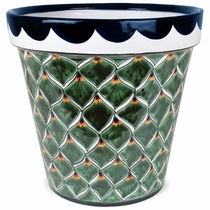 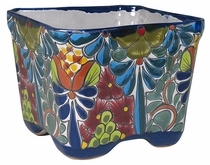 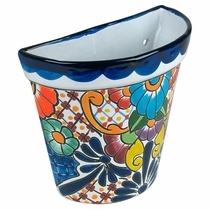 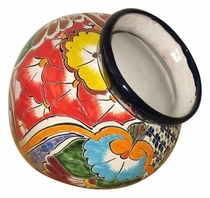 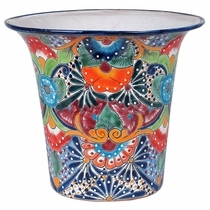 Our Talavera flower pots and Mexican planters come in many different sizes and designs. 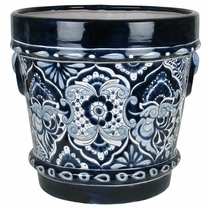 Everything from small seed pots to large 28" diameter planter pots. 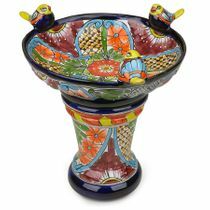 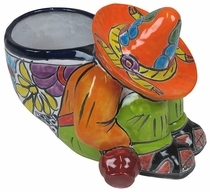 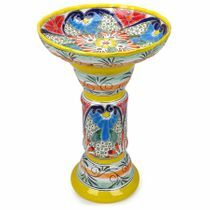 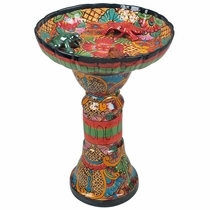 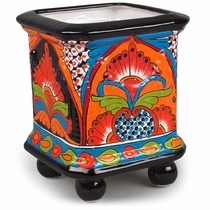 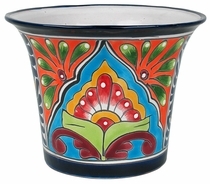 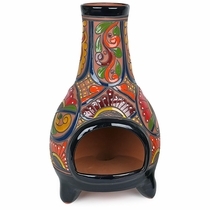 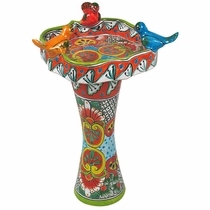 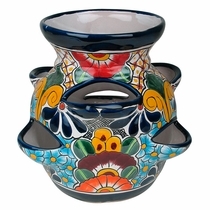 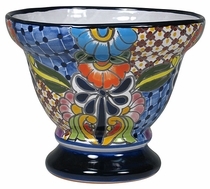 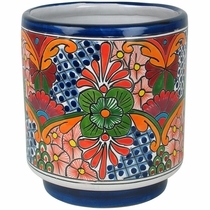 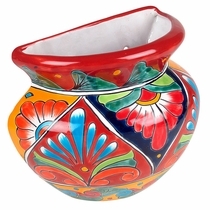 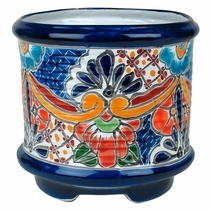 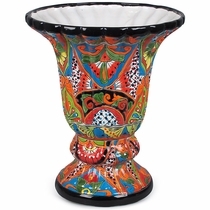 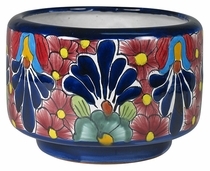 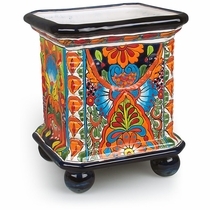 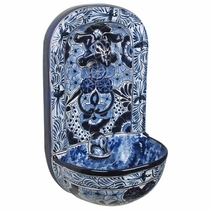 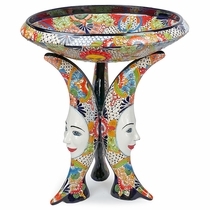 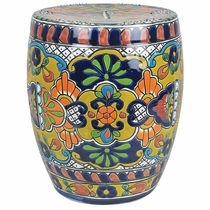 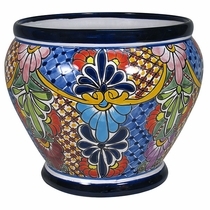 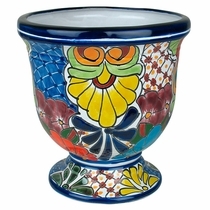 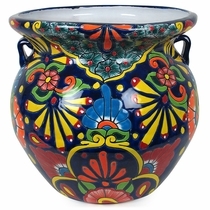 This beautiful Talavera garden pottery will add a splash of color and Mexican culture to your patio or any room in your home. 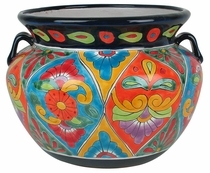 All handmade and hand painted by Mexico's talented potters. 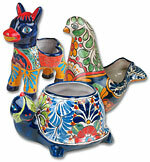 You can rest assured that Direct From Mexico will carefully pack your order to ensure it arrives to you safely. 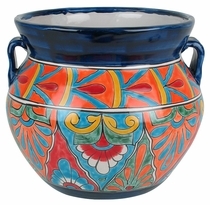 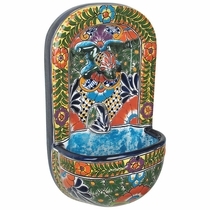 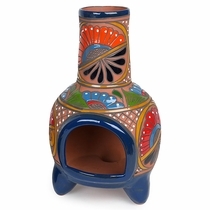 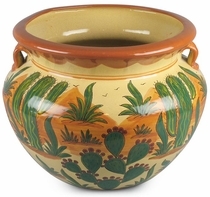 See our assortment of Terra Cotta Mexican Pottery. 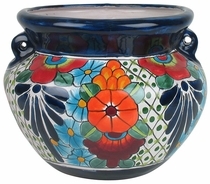 6 Sizes Available. 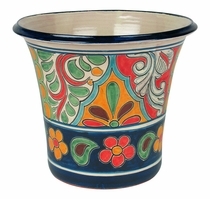 Discounts when ordered with pots.